The 12 A29 Super Tucano aircraft ordered by Nigeria from the United States to fight insurgency are not due to arrive until 2020, a senior United States administration official disclosed at the weekend. 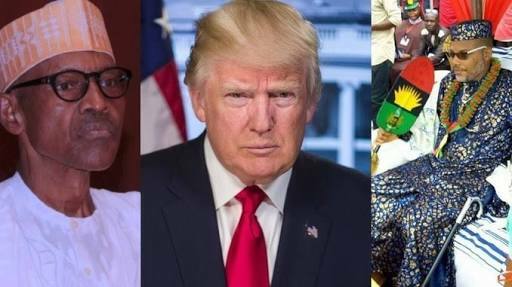 Speaking ahead of President Muhammadu Buhari’s visit to the White House next Monday, the official said the high regard the Donald Trump administration accords Nigeria is underscored by the fact that Buhari would be the first African leader to be received in the Trump White House. The US administration official who spoke to journalists on the basis of strict anonymity nevertheless affirmed that issues arising from past agreements between the two countries would be on the cards at the US – Nigeria summit, including the open declaration of assets. The administration official also spoke on the United States’ commitment to free and fair elections in 2019, teasingly asserted that the country’s candidate for the presidential election would be Mr.
Democratic Process. The official also said Washington would encourage open and frank negotiations between the Federal Government and the Indigenous People Of Biafra, IPOB. Affirming that all issues involving the sale of the Super A29 Tucano aircraft have been cleared including receipt of an estimated $593 million from Nigeria, the official, however, said the aircraft were being built in Florida and would take at least two years to manufacture. The A29 Super Tucano is a light attack aircraft intended for counter-insurgency, close air support, and aerial reconnaissance missions in low-threat environments. The estimated $539 million Nigeria paid for the aircraft the official disclosed included the cost of training for pilots, engineers, and spare parts. The official observed that President Buhari’s visit to the White House was reflective of the premium the U.S gives to Nigeria noting that the Nigerian leader is the first African leader to be received by President Trump in the White House. He said the warmth in relations was reflective in last week’s summit of African land forces co-hosted by the U.S. and Nigeria armies. The US administration official restated the superpower’s commitment to the tenets of the U.S. – Nigeria Bi-national Commission, one of which is the open declaration of assets by elected officials and their subordinates. “Sometimes it is difficult to implement (declaration of assets), but we will encourage that it should be followed through,” the official who briefed selected journalists said. Given the declaration of the Boko Haram as a terrorist group by the United States’ States Department, the official was tasked on what approaches the US would take on issues between the Nigeria government and IPOB. “On IPOB, we see that there is an aggrieved population that would want to have its views heard and we will encourage that there should be dialogue. The administration official, however, affirmed that issues pertaining to free and fair elections in 2019 would be seriously encouraged by the US administration and resounded in actions ahead of the polls. No election in Biafraland, US should ask President Bushari to provide Our leader Nnamdi Kanu first before anything. U.S, please save Nigerian masses from Buhari and anything that has to do with him and his segregated regime. The aircraft is not for insurgence but to silence the oppressed and wide out the tribes that may challenge him and his regime or oppose his term in office. Will Buhari be representing all of Nigerians on this visit or only members of his APC criminals, those his killers brothers from Northern Nigeria known as Fulani Herdsmen and Boko Haram fighters? He is bringing the aircraft not for any other thing but to use it and wipe us (BIAFRANS) away, US should please encourage Nigeria to give us our freedom not even referendum because there was a country by Chinuo Achebe. Good development.Kudos to Trump. All hail Biafra,the Land Rising Sun. Not good enough. The U.S. is looking after it's interests. Otherwise why will they even want to host a president that tends to Islamise a nation knowing what Islam stands for? Any dialogue without Biafra freedom is not acceptable. Biafra freedom. Hmm lobbying is allowed as USA is involved in this evil befallen the Christian in Nigeria and have it in mind that will not help you because they are part of the evil we are talking about .for Nigeria to buy air craft from USA what did biafra buy from them?